After putting at risk the Christmas holidays for thousands of travellers, it finally seems that British Airways cabin crew will no longer go on the 12 days strike previously announced. A court injunction forbid the action on the grounds of illegal voting procedure in deciding for the strike. 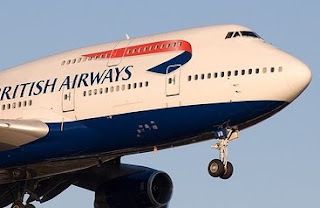 According to the court, many of the workers within BA’s unions Unite placed their votes even though having previously taken voluntary redundancy and being no longer formally involved in British Airways. Despite the comforting news for passengers, the issue within the air flight company seems far from resolved. The dispute between the management and the unions generated over plans of important reductions in staff as well as introduction of substantial and unfavourable changes in contract for cabin crew. Following the workers’ discontent, the unions had announced a strike from December the 22nd to January the 2nd which would have obviously meant enormous losses for the airline company, given the high season for the travelling industry. In fact, workers taking part to strike action were calculated to be around 13,500 members which would have left most of BA air fleet to the ground. BA, however, did suffers losses from the turmoil created in the last days, as shares went down by more than 2%. After the court’s decision, the two parties in question seems to still be set on controversial positions. British Airways declared the planned strike is part of an “old-style trade union militancy” which in no way can contribute to re-establishing the company’s profitability. On the other hand, Unite spokesperson said the court’s decision came as a disgrace to democracy and warned as well that the threat of industrial action is not over as BA employees are apparently planning to take a new ballot.